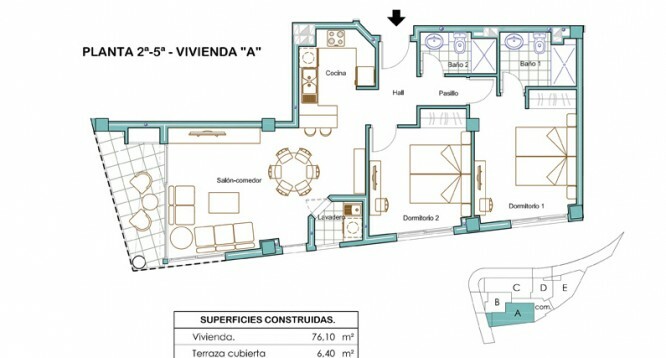 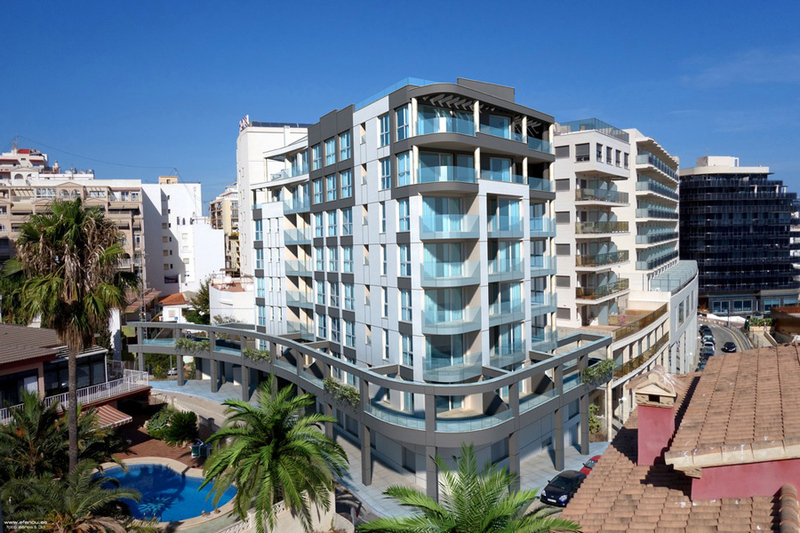 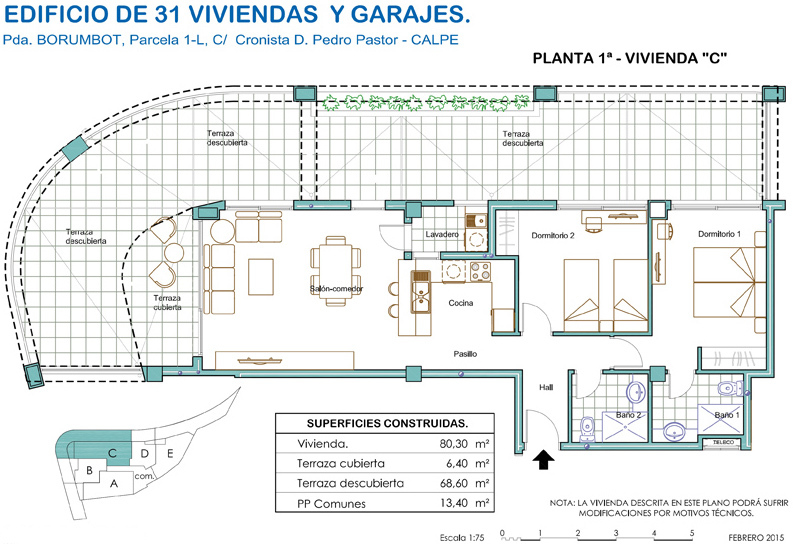 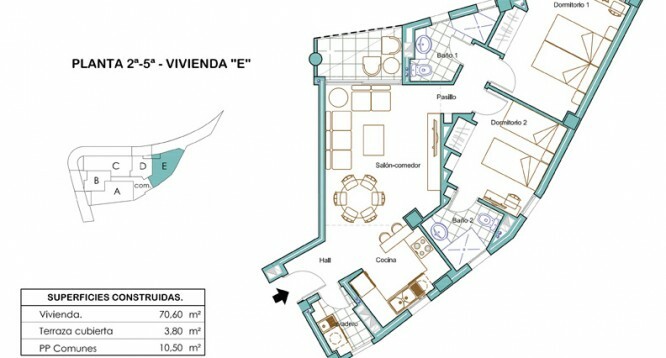 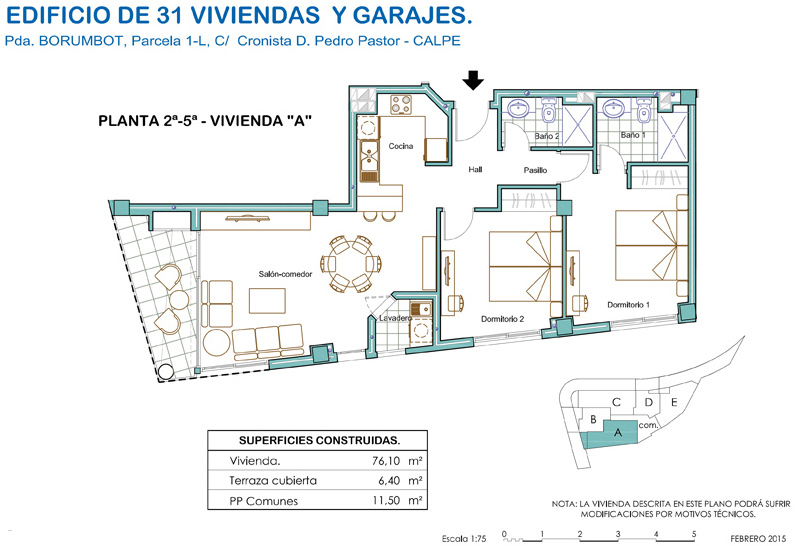 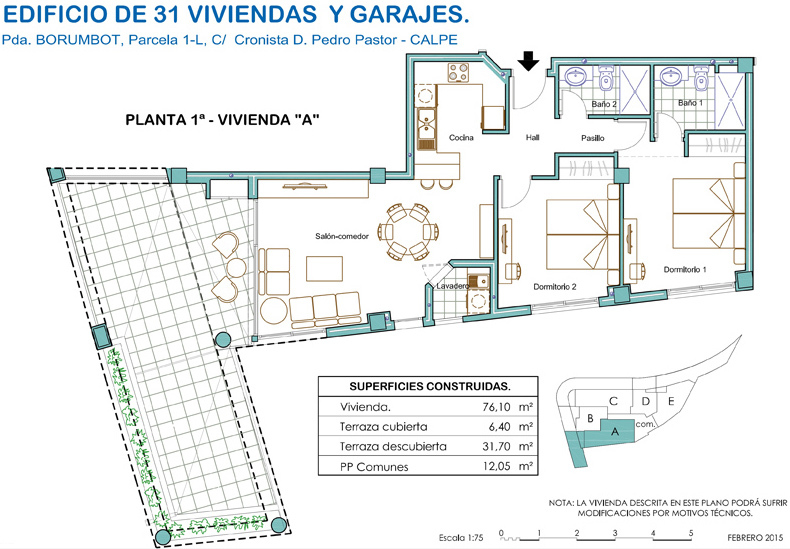 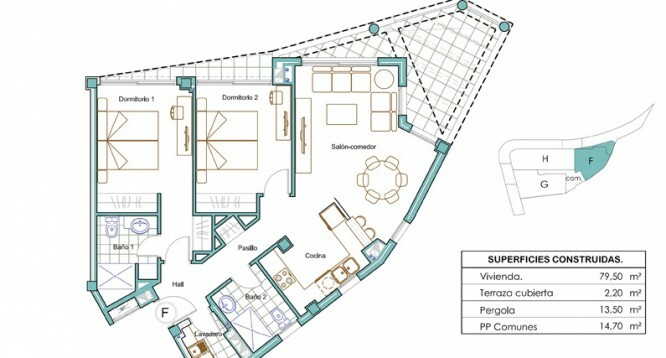 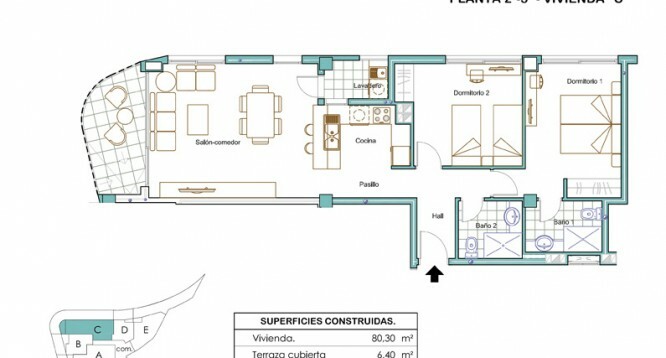 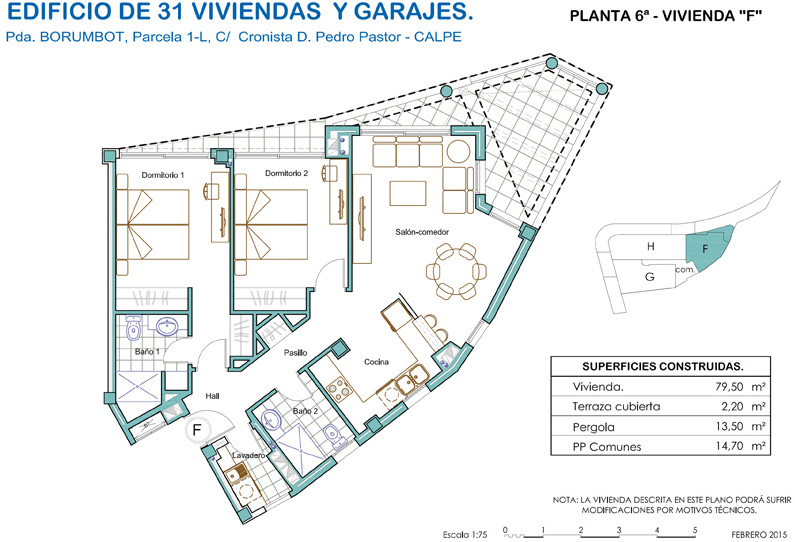 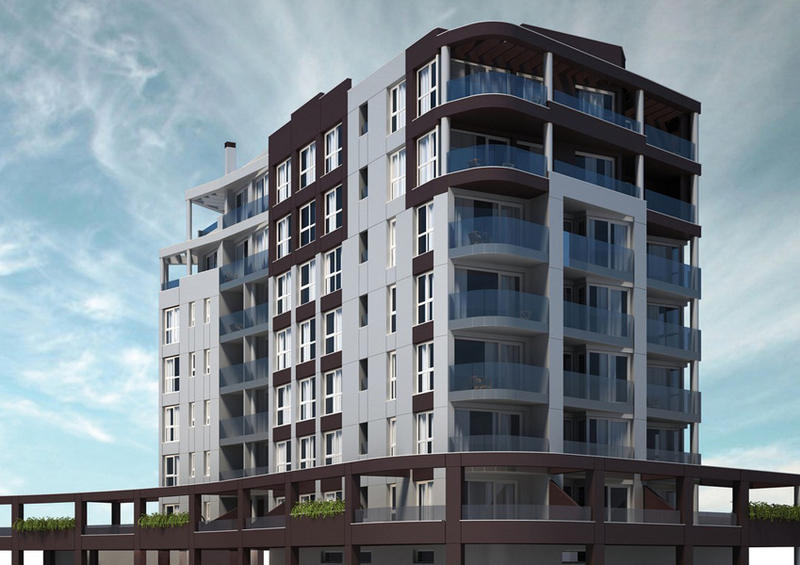 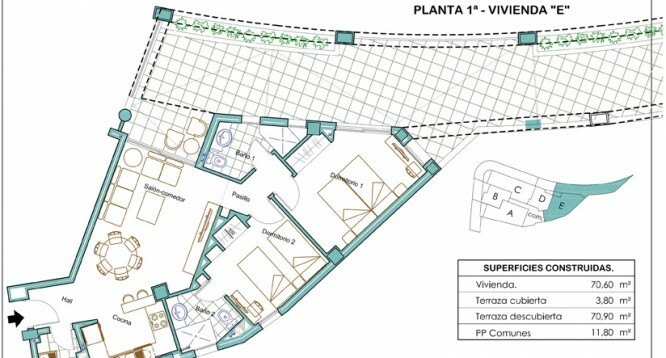 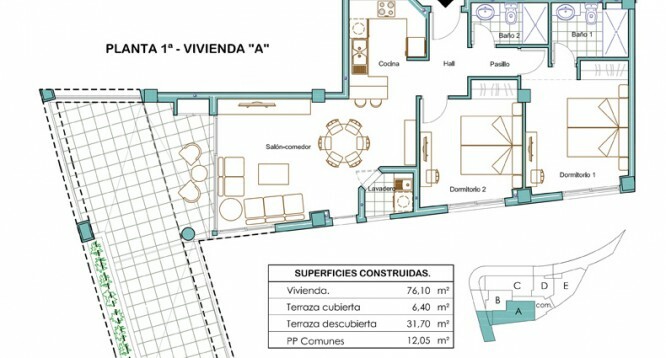 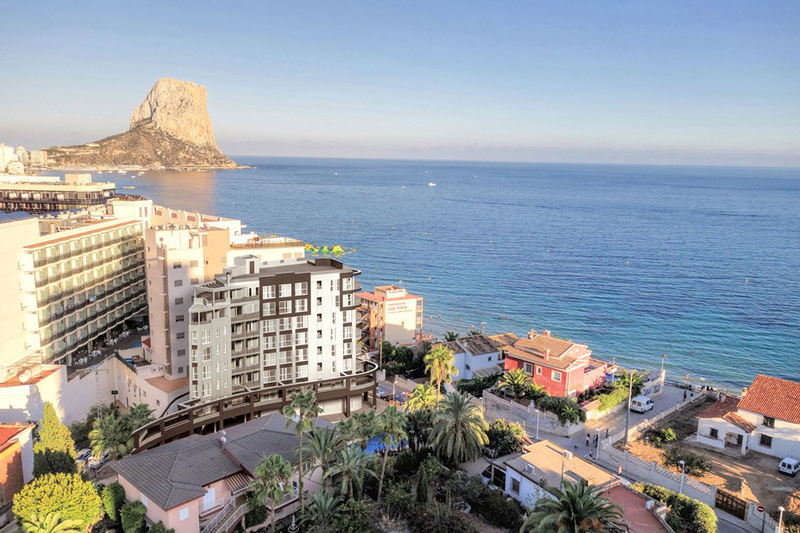 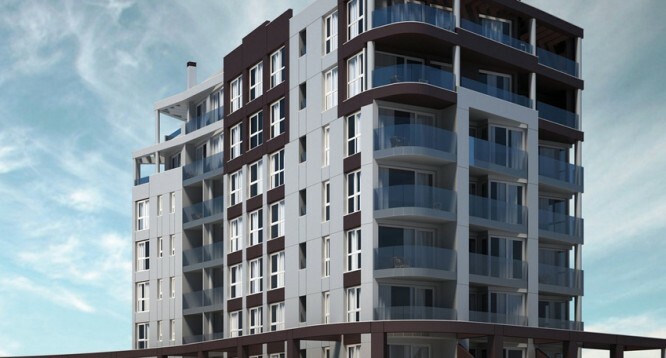 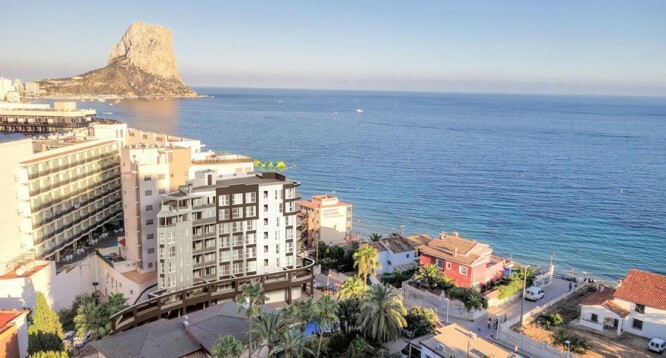 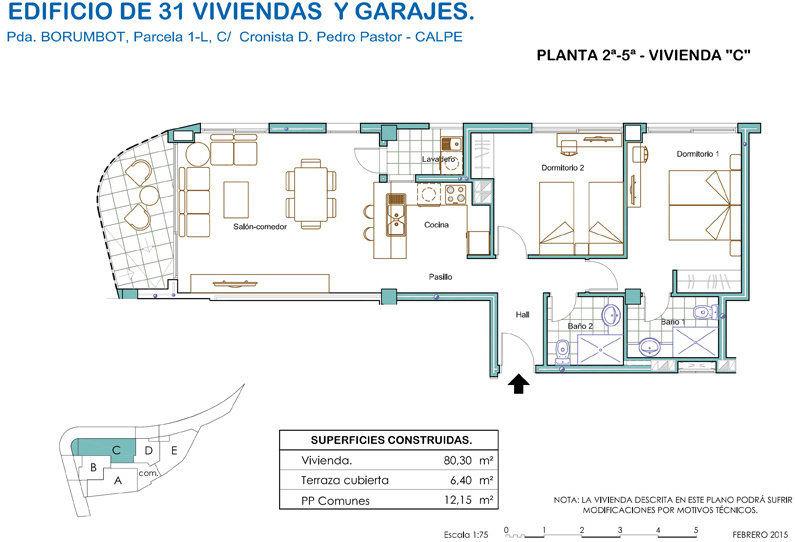 Melior 1 Apartment 2 in Calpe | Buy a house in Calpe, Alicante, Spain with Leukante Realty S.L. 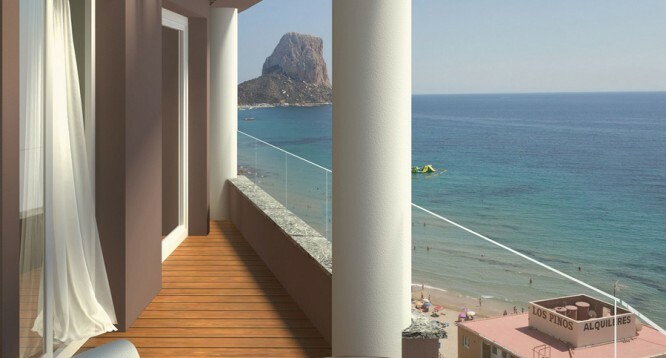 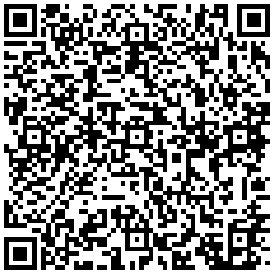 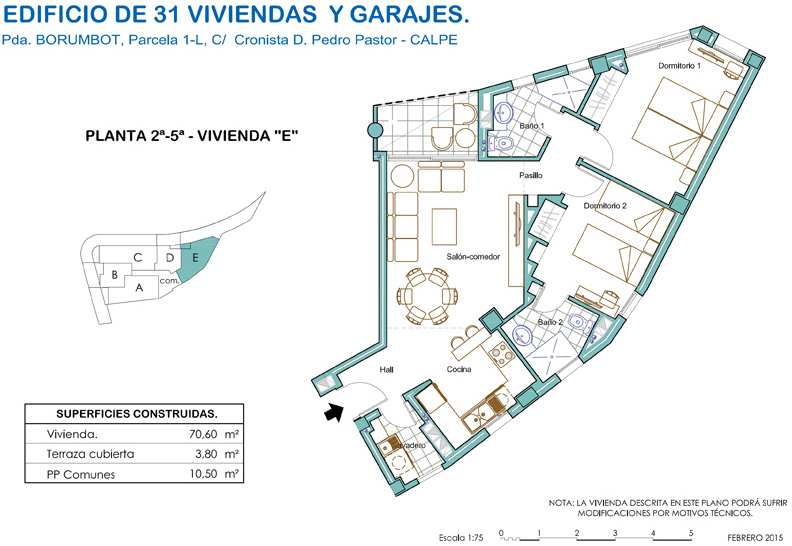 For sale news apartments in Melior 1 in Partida Borumbot Calpe. 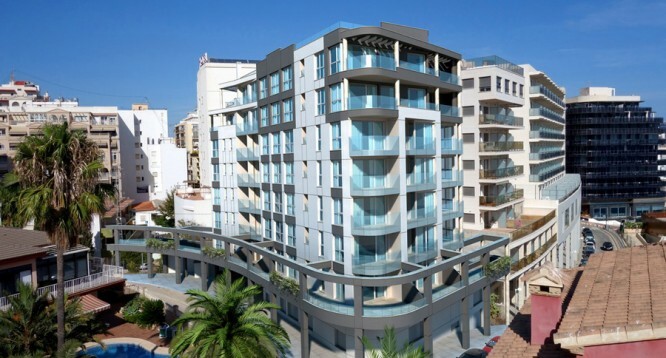 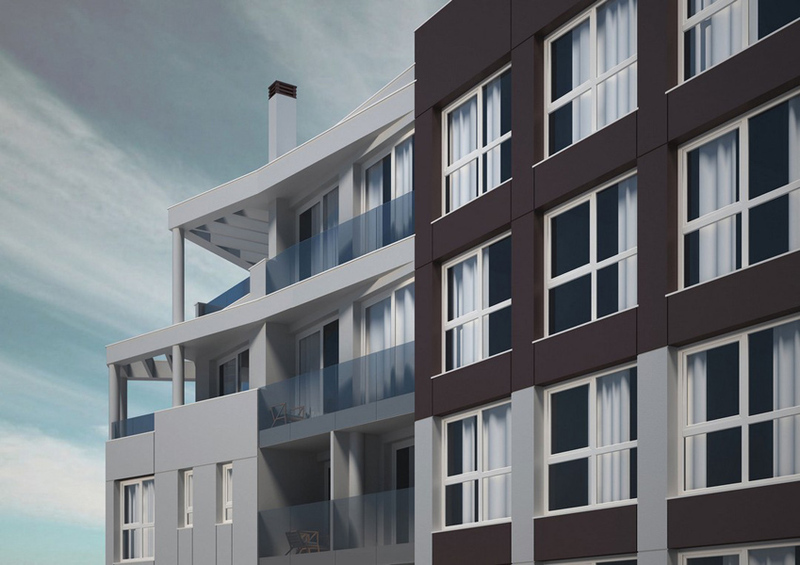 The apartments are distributed as follows: living-dining room, open plan kitchen, 2 bedrooms with fitted wardrobes, 2 bathrooms (one on suite) and a closed in terrace which offers sea views. 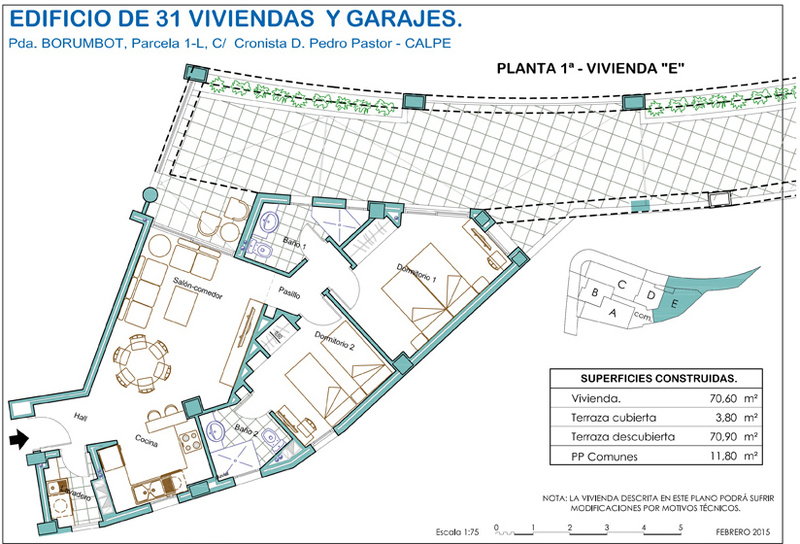 The first floor’s apartment has two terraces (one open). 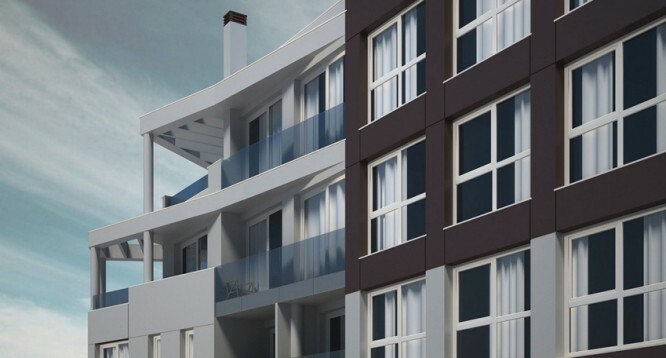 The apartment building also has private garages and storage rooms (available at an additional cost), two elevators and solar panels. 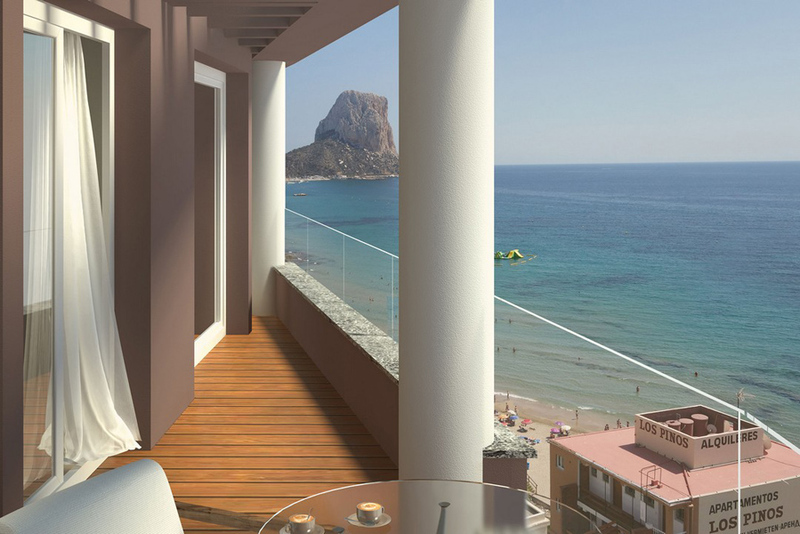 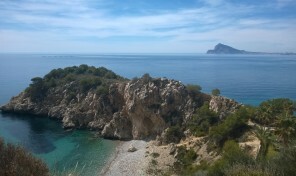 Situated in the center of Calpe and a mere 50mts from the Arenal-Bol Beach. 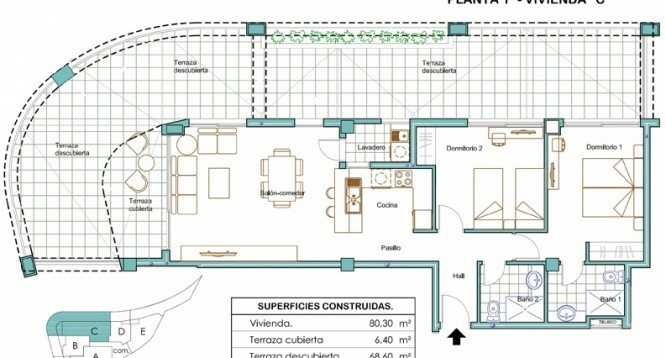 Close to all amenities: medical center, bank, chemist, bus stop, restaurants and Más y Más, Mercadona and Dia supermarkets.